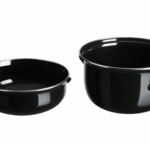 The mussel pot is made of steel with an enameled black covering. It consists of two parts and is compatible with gas, electric and ceramic tiles. The pot is dishwasher safe. The mussel pot is in one standard size with a diameter of 18 cm. 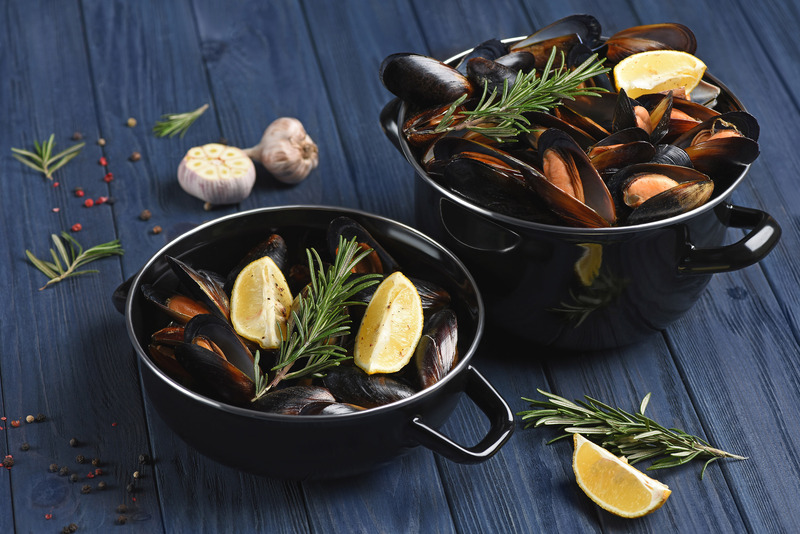 Preparation in this pot is based on the principle of steaming, and the two components allow the supply of mussels as soon as it is ready. Metal hollow handles slowly heat up and cool down quickly.